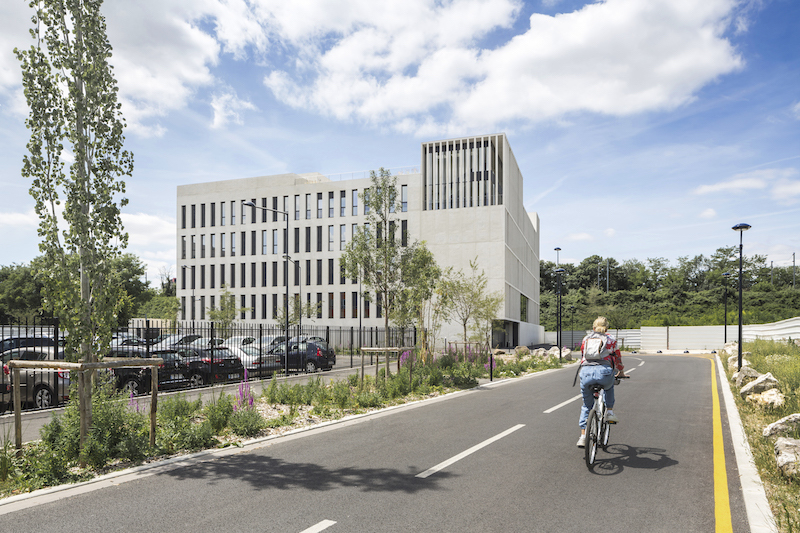 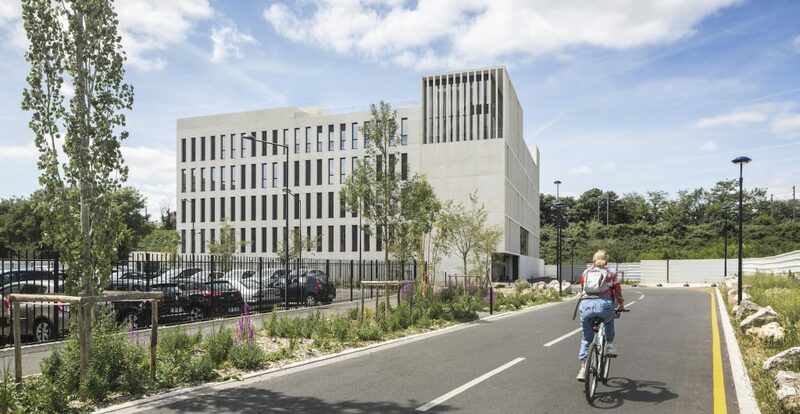 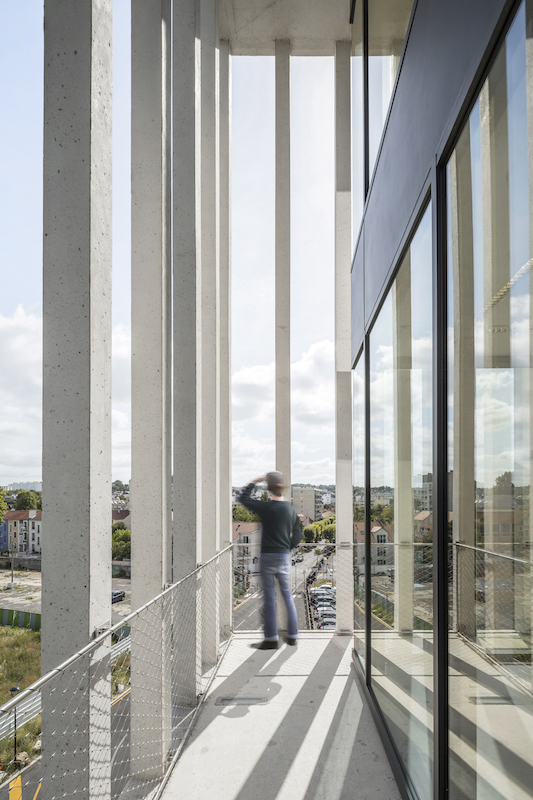 Extreme organizational flexibility, attention to environmental quality and an accurate interpretation of the setting: these were the requirements for the headquarters of IDF Habitat, the French company in charge of the development of social housing operations. 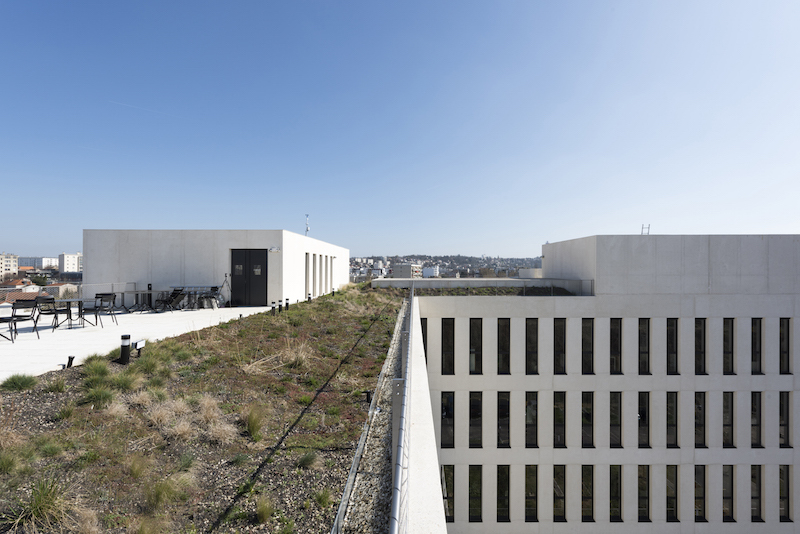 In March 2017 IDF Habitat proudly announced its new address, 15 km from the heart of Paris. 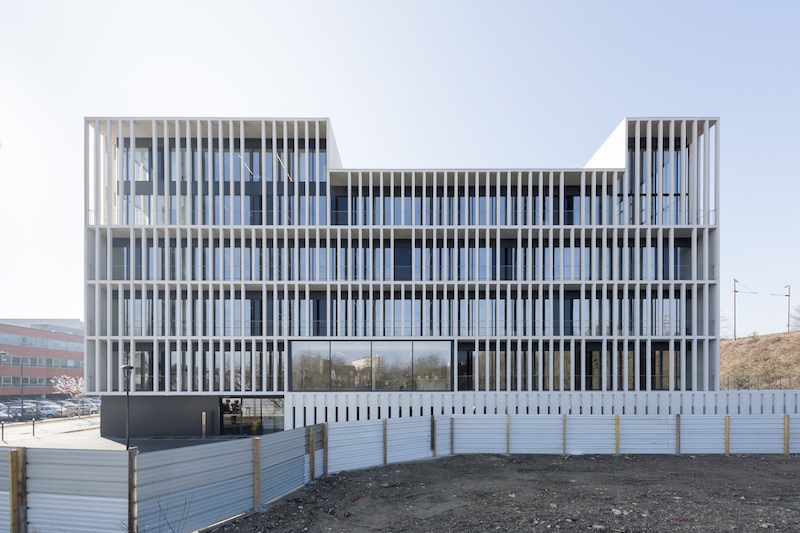 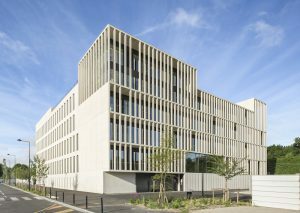 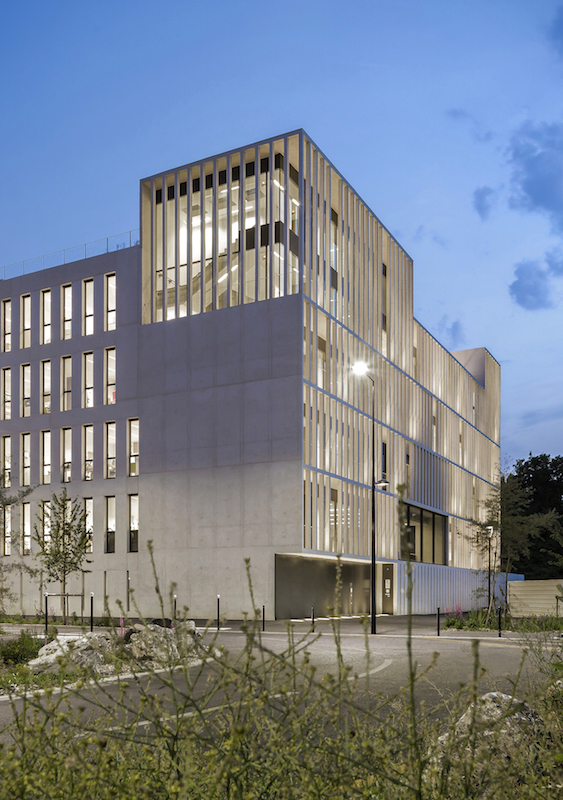 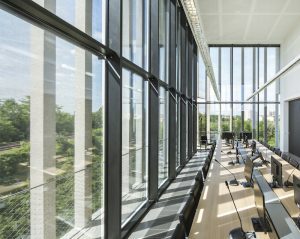 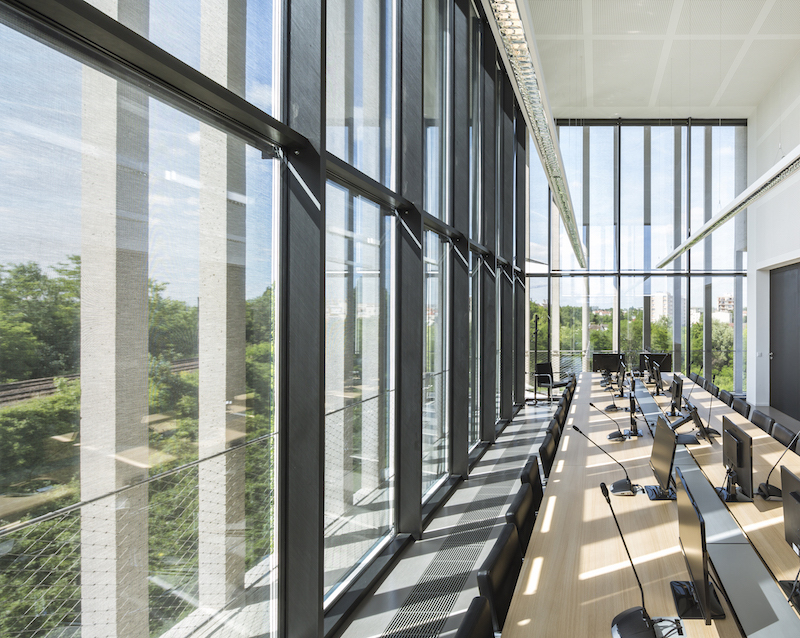 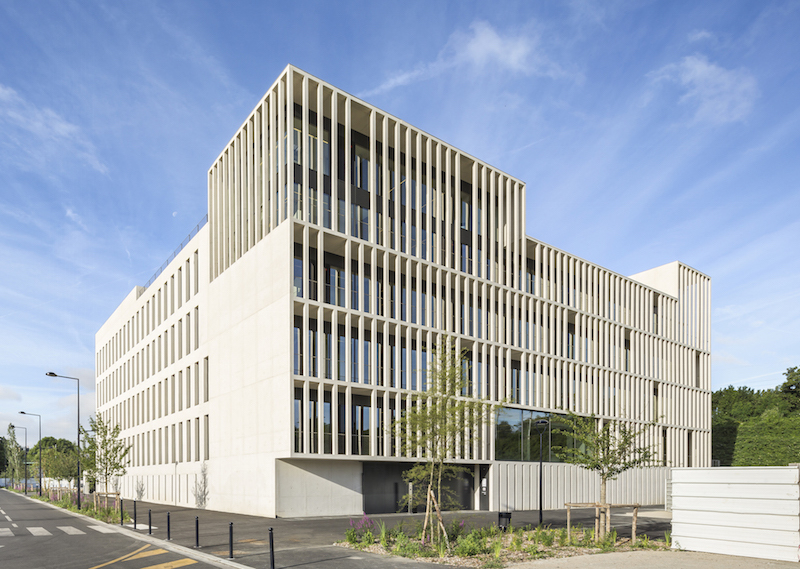 Designed by Piuarch, Stefano Sbarbati and Incet Ingénierie, the winners of a competition held in 2013, the Champigny-sur-Marne headquarters were inspired by the desire to create an efficient, functional complex, and above all one that stands as an indispensable element in the area’s transformation process. 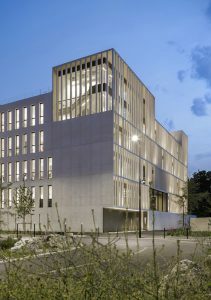 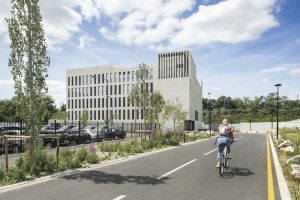 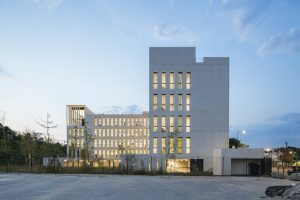 The building is in fact part of the so-called “ZAC des Bords de Marne,” an ambitious redevelopment program aimed at defining a new social, cultural and productive sector connected with the city, interpreting expectations and generating a system with a strong identity. Characterized by an L-shaped plan and a silhouette that varies in height, the volumes develop into an articulated form, establishing crisp lines and allowing the square in front to be designed and defined as a collective space. 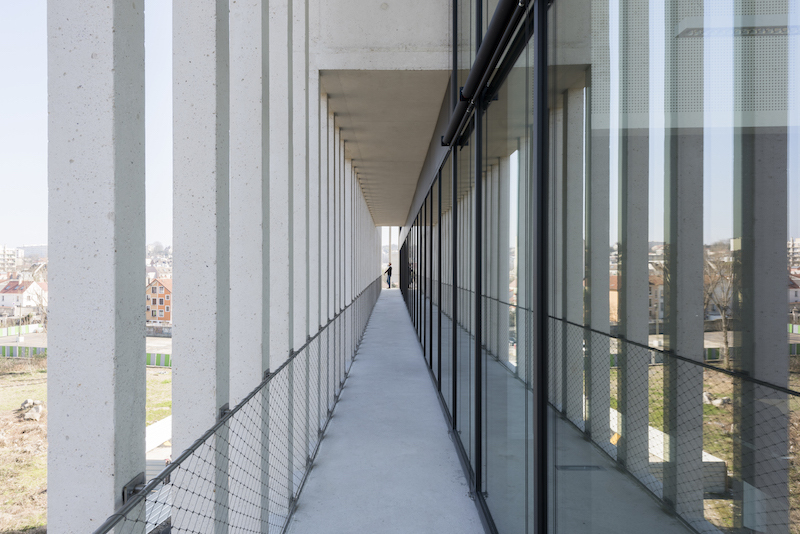 Each side also reacts to the existing surrounds through a relationship of solid and empty spaces: at the entrance, and thus facing the square, the façade is a permeable screen completely covered by glass hidden behind a system of loggias of varying heights, interrupted by a series of breaks in the pattern that make the composition more dynamic. 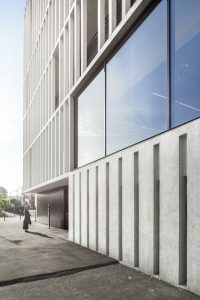 This front is proposed here as a section through which one glimpses the working environments, including the lobby, small meeting rooms, private offices and the large stairway, or, conversely, as a way to project the life of the building toward the outside. The side of the building opposite the entrance, facing the railroad and along the road, is more compact with a tight rhythm of vertical openings: these are the south, east and west façades, where it is necessary to filter the solar gain and to create an acoustic barrier against the noise of trains passing by. 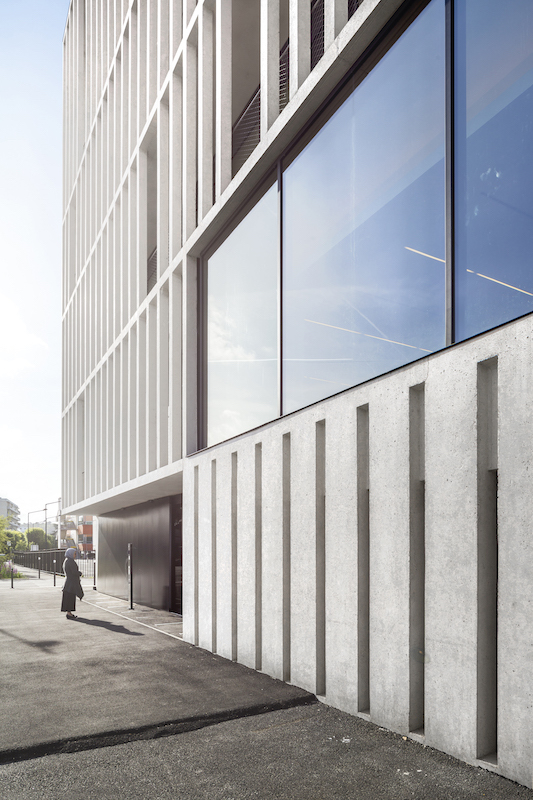 The shell is made of concrete cast onsite and then smoothed to create a uniform effect. 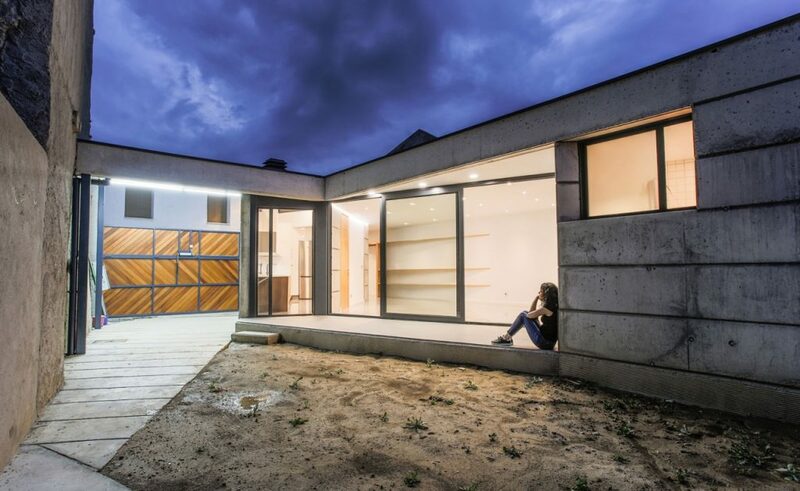 It integrates the construction system, which is connected to prefabricated hollow core slabs with a span of 13 meters, without any need for intermediate supports. The result is a free plan, which can be organized according to needs: a solution made possible not only by the absence of pillars and supporting walls, but also by the systems installations, which run vertically at the crossing point between the two wings before being inserted into the floating floor at each level. 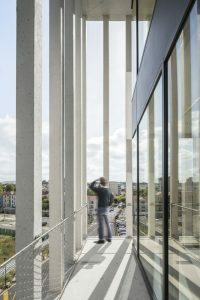 The modularity of the facades, marked by windows 67.5 cm wide spaced at 135 cm intervals, also contributes to the same objective and facilitates any changes in the layout of the internal spaces. 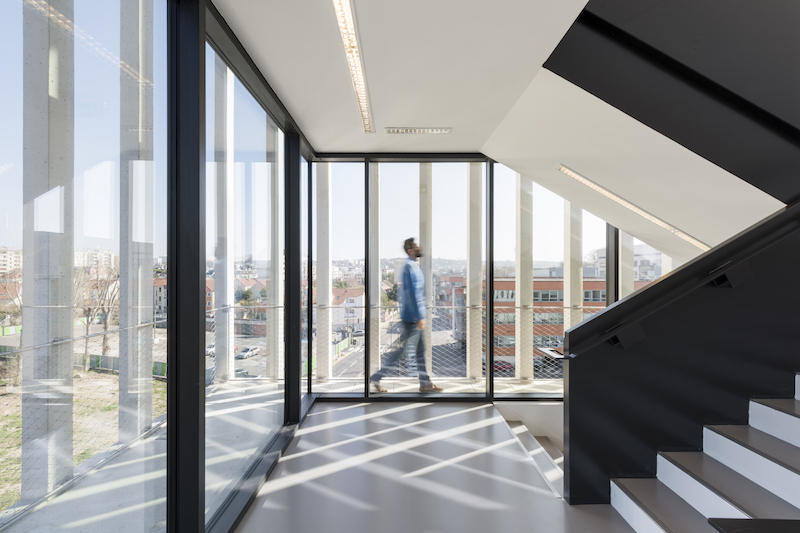 The only “rule” for the flexible layout, which can be changed over time by IDF Habitat, is the continuous juxtaposition of work areas and collective areas. 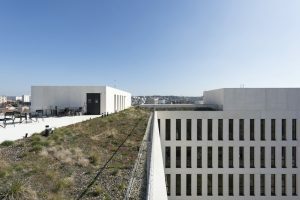 The four floors of offices above the basement – devoted entirely to parking because the structure stands on land at risk of flooding – mix different types of spaces and include large socialization areas both indoors and outdoors, thus ensuring a high quality environment for employees. 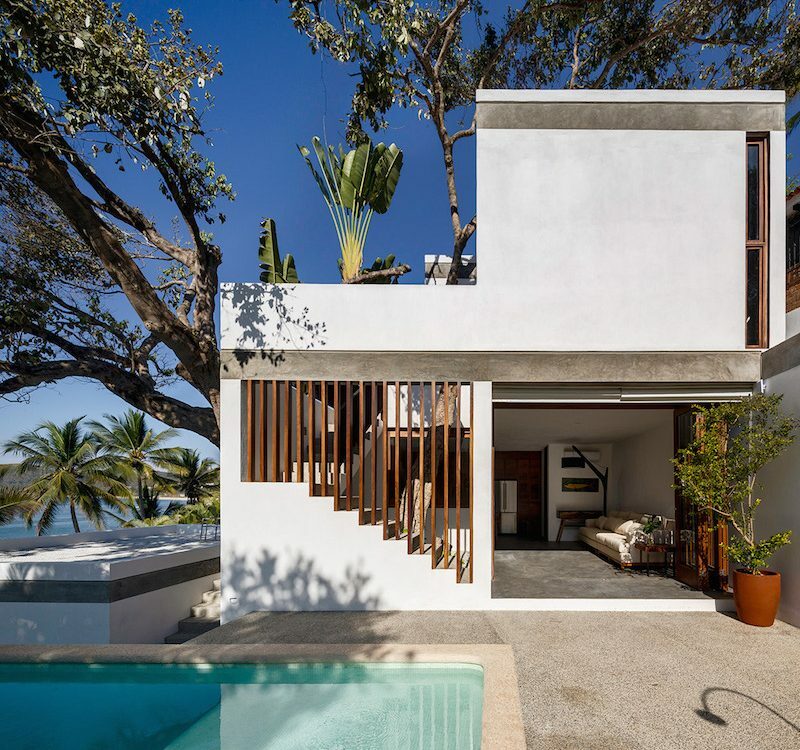 This quality is enhanced by the roof terrace, which adds to the defining of a pleasant place with tables, seating, deckchairs and sun shading elements. 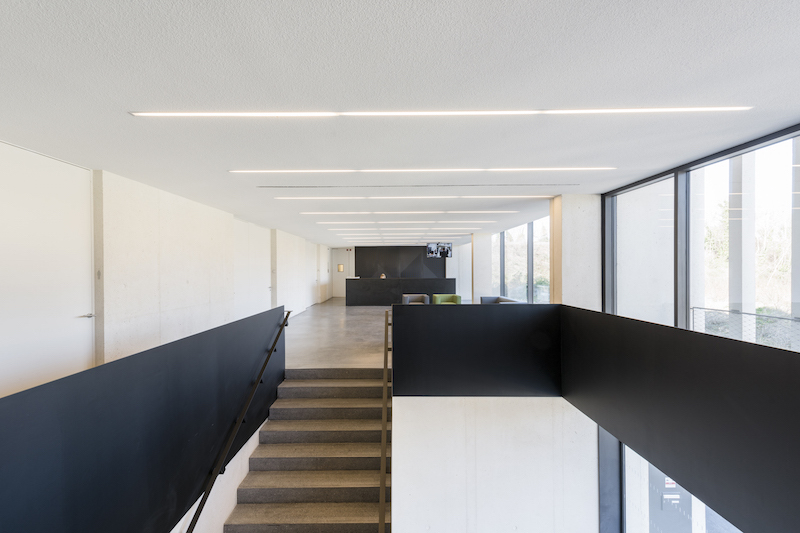 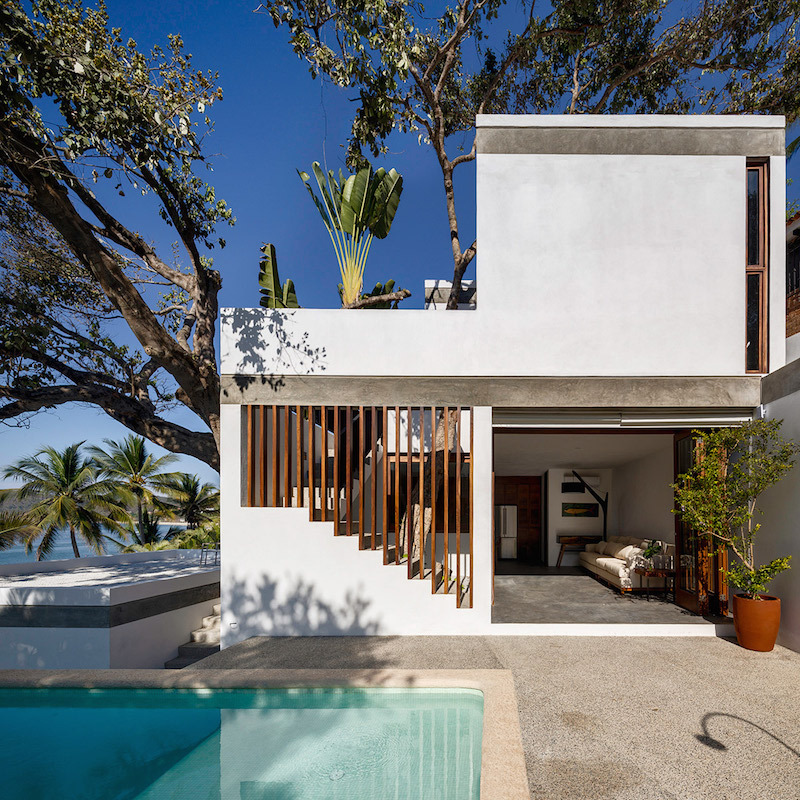 Founded in 1996 by Francesco Fresa, Germán Fuenmayor, Gino Garbellini and Monica Tricario, Piuarch is a group of forty architects and engineers from all over the world led by four partners and 8 associates. 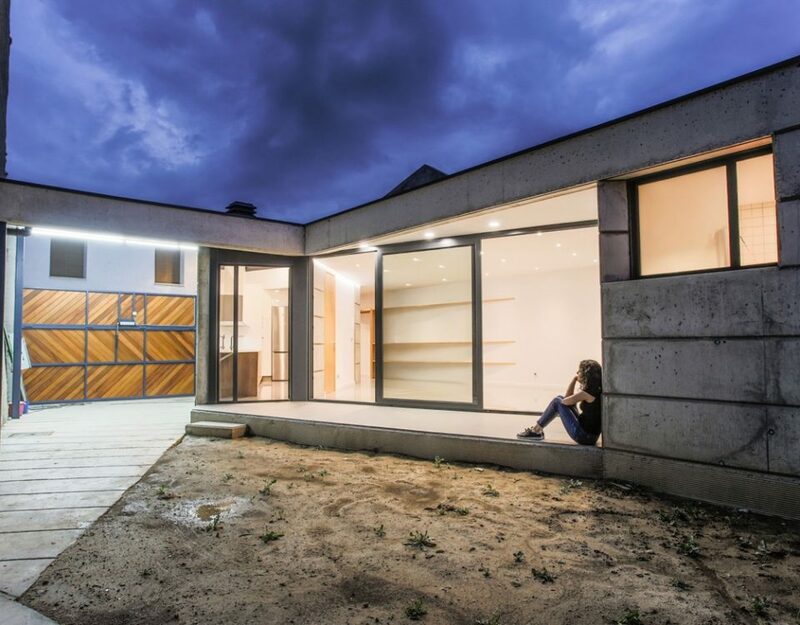 It works in the field of architecture, ranging from retail to fashion, office building design, the development of residential complexes, town planning, and cultural recovery works. 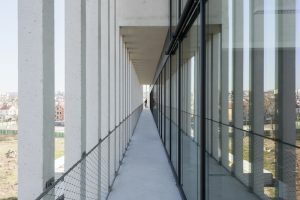 The winner of the “2013 Italian Architect of the Year” prize and of two Gold Medals for Honorable Mention at the Milan Triennale, and an exhibitor several times at the Venice Biennale of Architecture, Piuarch is one of the major names in architecture in Milan, with numerous internationally built designs developed for prestigious fashion brands (Dolce & Gabbana, Gucci, Givenchy).